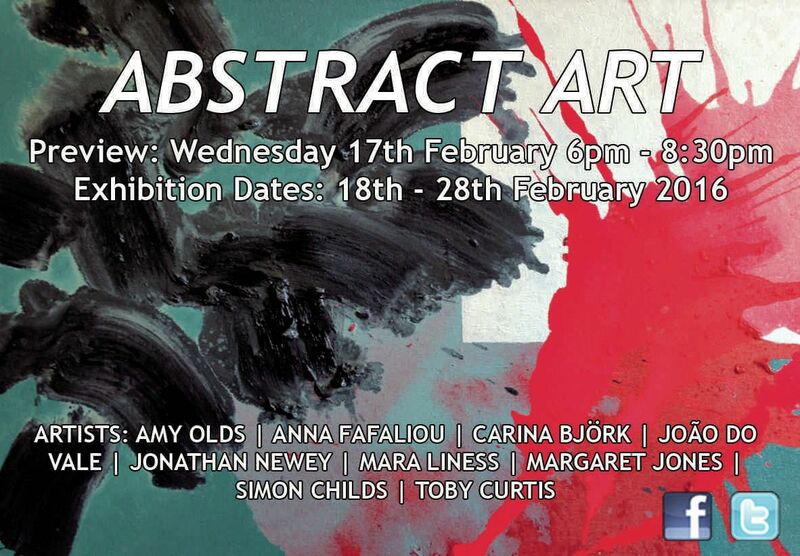 Abstract Art brings together an array of vibrant and emotionally charged artworks by UK and international artists. Anna Fafaliou presents the series “Illusions”, which explores all visual abstractions as perceived by the artist. The shapes represent objects in abstraction, deformation or in an unfinished state as they’ve been recorded in the mind’s eye.The combination of white elements and silver reflections, creates a sense of a tabula rasa, allowing the viewer to self reflect in relation space and time. Jonathan Newey exhibits his latest work which stems from studying photographs of earth from space, nature under a microscope and photographs of the cosmos from the Hubble telescope. He works from black and white sketches followed by colour studies done with oil pastel and finally uses acrylic and household gloss to produce the fluid paintings. Margaret Jones creates pieces that are often based on organic shapes and structures using colour that varies from monochrome to vibrant with subtle details. It takes the focus from the simple elegance of an individual, tiny woven bead to the whole work, giving the viewer two images to contemplate: the tiny and the expansive; like surreal landscapes within landscapes. She keeps design work prior to weaving to the absolute minimum to ensure the work evolves and stays alive during the long process of creating the final piece. You are warmly welcome to join us for a drink with the artists at the opening night of ABSTRACT ART at The Brick Lane Gallery open from 6pm-8.30pm on Wednesday 17th February 2016.